An exploration of the back roads in northern Billings County, north of Medora. The day got late and on the way back, stopped to visit this gal. 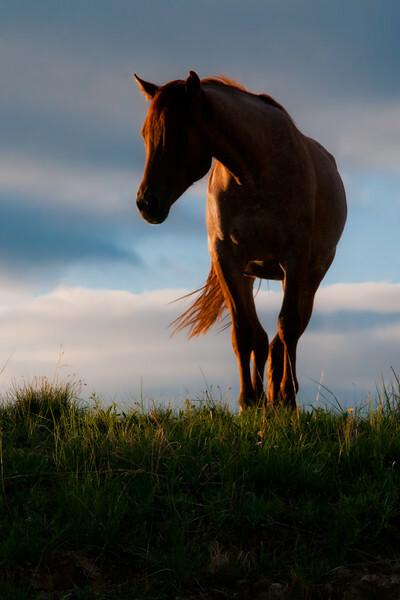 The mare paused just a moment as she walked over the hill toward me. It was all I needed to capture her color, shadowy contrast against the blue sky. Warm and cool colors come together.